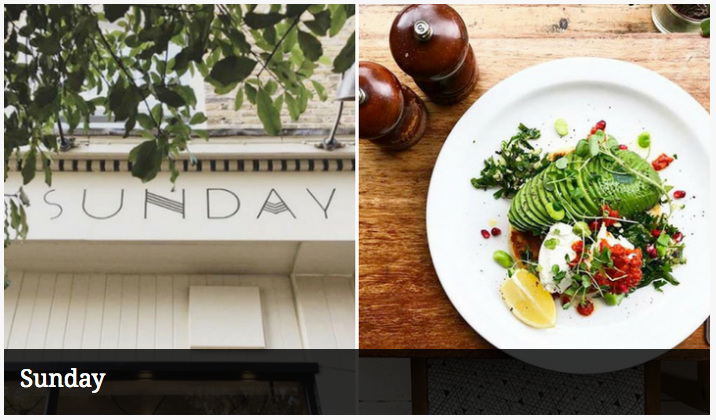 Team TRIBE share their favourite post-workout lunch spots around London, from the heart of East London to the streets of South London. We’re spoilt for choice! Why? Hit up this trendy spot at the bottom end of Broadway Market after a long Saturday morning run along Regents Canal. With prosecco on tap and tables spilling out on to Broadway Market, make sure you grab one in the sun - it’s the perfect place to settle in for the afternoon. Make sure you order: Refuel with their Mushrooms and Poached Eggs on Sourdough with Lemon Yoghurt to get your post-workout protein hit. Why? Our favourite post-ride cycling cafe that serves up delicious brunch and hearty pizzas - just what you need after a morning ride around Richmond Park. Great selection of craft beers too! Make sure you order: Blueberry pancakes with bacon! Yes, that's right - a truly delicious combo! The Breakfast pizza is also a winner. Why? South London runners, this is a must try weekend post-run lunch spot! Milk’s extensive menu has something for all, including indulgent egg dishes, sweet buckwheat pancakes and house-made crumpets. You’re spoilt for choice! Make sure you order: “Sweet Maria” the sweet corn fritters with grilled halloumi and avocado. Add a side of bacon. You’ve earned it! Why? Don’t be put off by the queue. It’s worth the wait. Use this time to stretch out post-run. 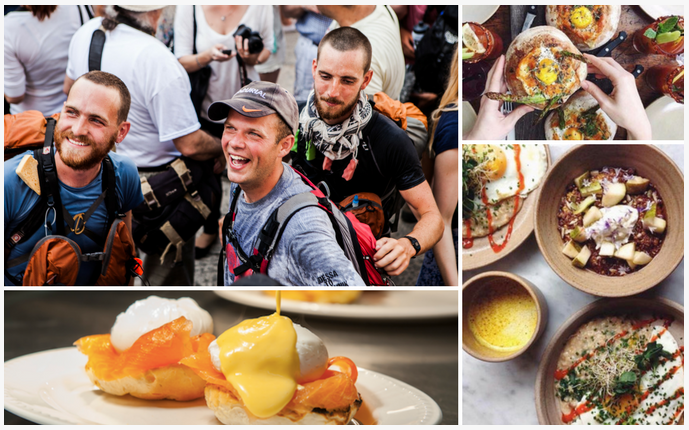 This really is one of London’s best brunch spots, serving modern British brunch classics. fats, grains and protein, a balanced meal for optimal recovery. Why? Don’t let the hustle and bustle of central London put you off. Hit the streets and explore the cobbled streets of Covent Garden and finish your run at 26 Grains for a dose of Hygge. This tiny café in Neal’s Yard specialises in sweet and savory porridge. The menu offers a seasonally changing menu of colourful porridges loaded with nutritious toppings. Make sure you order: Egg and Kale savory oats - made from locally sourced ingredients and wholesome grains. The only dish that never leaves the menu, a must try. seriously good. If you’re there on the first Saturday of the month, then be sure to check out Well Street Market too! Make sure you order: Rosewater Bircher Muesli. Replenish with this summer bowl of goodness – we haven’t found a better Bircher in town! Why? 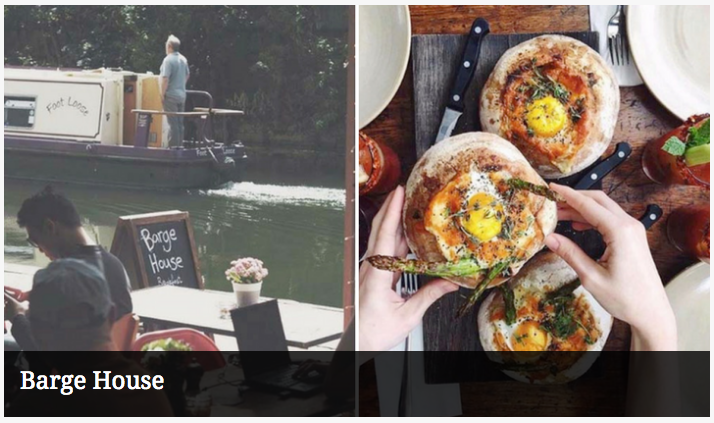 This canal-side café is one of our post-run favourites. The menu is built up of seasonal, fresh ingredients and innovative creations. Be sure to grab a table outside. Make sure you order: Their signature “Breakfast in Bread”. That’s right, a full English cooked inside a crusty sourdough loaf. The ultimate post-run indulgence.